In this article I want to take a brief look at how stories in games can be used effectively through gameplay to flesh out important details that give more weight to the larger much simpler goal of the overall game. Games need stories, but that doesn’t mean everything in a game should be subservient to that story. I take a lot of pleasure in reading, it’s probably what I do more than anything else with my time, but there comes a point where verbose media becomes obnoxious. That point is different for everyone and it’s not easy or good to assume on the designer’s part. Something I’ve learned over the years is that an individual’s responses to pacing and their tolerance is entirely dependant on that their mood and expectations as they interact with a game over time. Pacing is a fluid experience because of an excessive number of factors. People enjoy and dislike different micro and macro elements of media and their favour changes based on where they are and who they’re with. A noisy exciting showroom can be beneficial or detrimental as would a comfy couch with no one else to share the experience. Certain aspects of a game won’t bother some people as much as others. Backtracking for items is fun if you’re happy with the game’s other elements. Awkward collision system issues are downplayed if you’re having fun with everything else. Nagging issues only bring down the experience if the game isn’t trying to win over the player with more strengths than weaknesses. Polishing your game with love is super important. There are some books I cannot marathon because of how they’re written or formatted. Really it can be any combination of font size, font type, word spacing, diction, sentence structure, chapter length, descriptions of characters and scenery, errors in an author’s research, errors in character reasoning and motivation, and continuity to name a few things. But my response to each of these things will change depending on what I’m interested in getting out of it. I may keep reading because I need to know how Stannis will prove himself the most metal of kings or what Tyrion is up to, everything else about Danny flopping around her unstable kingdom is not so interesting but I don’t mind it because I’m still interested in the world and what is going on. I don’t hate any characters enough to skip chapters. I generally don’t have a problem with the fluffy language about clothes and food because character motivations have my attention. The same can be said about how long I can play a game for. Sometimes I can just marathon a game in 10-25 hours and love it. Othertimes I can only play in 10-20 minute bursts once a week or maybe an hour before I give up on it. In a game you’re up against even more issues than a novel since now you’re including visuals, sound, hardware, and interaction with systems. It doesn’t matter how interesting your story is or how well you’ve built up the atmosphere when inconsistent character monologues ruin it with deflating awkward recordings. The last thing I want in a horror game (while escaping for my life or thinking that I’m being hunted) is a calm indifferent voice coming from my character. This only makes sense if the character is written to be this way. You need to know where your strengths are and mitigate the inevitable weaknesses of the experience. Story is a way for the designer to better understand their own game by comparing elements of the experience as a whole in an intended context. This is probably why the final boss in Kirby’s Dreamland 3 (SNES) has such a lasting impact. Kirby games use a simple story about dreams and nightmares colliding in physical space. Nightmares infect everything and spread quickly. Kirby is there to push it back but never destroys it completely. Contrast is what makes people appreciate what they have or don’t have. The story of a Kirby game exists to unify themes and ideas with a simple goal. Kirby games (especially Dreamland 3) use little stories in each level as a goal and rewards the player with a heart fragment. In one case you need to avoid stepping on any flowers to make the NPC at the end happy. There are other quests that ask you to mimic the NPC or have a specific power, lots of variation within established gameplay. 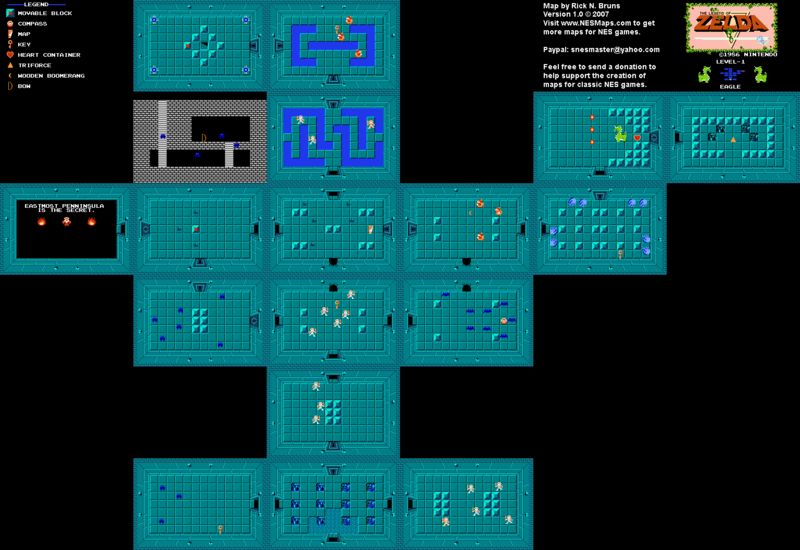 It follows a strict level design formula where the 2nd to last room of any level is the optional quest. The sum of these side quests is to unlock the final area or boss of the game. The story here is that Kirby needs to help everyone because Kirby needs everyone’s help to save Dreamland. The sum of these heart fragments form a magical super weapon for Kirby to combat the ultimate nightmare. It’s expressed entirely through gameplay and I think elegant solutions like this are the best. The goal is to get the player emotionally invested in the larger conflict by using smaller more personal stories that shed light on who you’re saving from endless nightmares. In something more complex like the Souls series it makes sense to put most of the story into item descriptions and NPCs. The story is that you missed the party and what’s left of the old world is in the ground or shambling on. It creates a puzzle outside of the game to make sense of all this information that’s thrust upon you without explanation. I think it works a lot like Kirby where the overall goal is saving the world, but that sense of true completion doesn’t happen just because you beat the end boss. You have to investigate individual stories to really save anyone. In that way you’re the hero no one deserves and an archaeologist. The cryptic nature of the story elements creates initial distance for the player from the world and invites them to close the gap with their own efforts. You can also eliminate these NPCs from the world if you choose to, bringing another type of closure to problems in this world. If you don’t have a story of some kind in your game plan it can cause the experience to become unfocused. Your story helps provides your design a set of rules and goals to stick to and break when appropriate. Stories are for the benefit of your design: Who, what, when, where and why fill gaps and enrich what you’ve already got layed out. Sometimes a simple story can help distance you from the smattering of ideas you want to use so you can single out the conflicting ones. You might even see connections between ideas that weren’t there until you’ve re-interpreted your own work. I think that some of the weakest games are ones that borrow ideas without integrating them into a narrative. You can break down games into their tropes and ideas common to other games, but it’s the story that woven into the world that makes the game own all of it. It should become more than the sum of its parts with that extra polish. How you implement the little things in life depends entirely on what your game is trying to be. I want to be jumping and running around doing things in my games with the option to stop and look around. That’s generally what I want to make and I’m happy exploring the types of games that give me pleasure. I want more platformers, adventure games, jRPGs, tactics games and puzzlers. When I’m playing I want to go back to optional content that was beyond my ability at one time. I think it’s great design to give players the choice of setting their own pace. It’s about focusing on a core game that leaves the player wanting more so they will go exploring for these details once they grasp the scope of things. If I find the general story interesting and worth my time I will invest my efforts and get good so I can accomplish sidequests. If I find the gameplay interesting I will learn more about the world and the story in the process of enjoying optional content. Tomorrow I’m driving north out of BC and will be residing in Grande Prairie, Alberta. It will be radical and fun. I’m looking forward to it. Here’s a short list of topics I want to cover sometime soon. The fault lays with work, game development and motivation! Transitions: I’m looking at how every element of the game leads into another. This can be as simple as a device to network stages like pipes in Mario, storybook themes and pages, or a grander flow of levels that tie together geographically and thematically. Pacing: Pacing in games is not linear, even if there is only 1 direction of the player to go in. Pacing needs to be understood on a micro and macro level where every player is different and their feelings need to be accounted for. A player having fun will not notice the snags in gameplay that slow things down. A player who is frustrated will find smaller problems to be far more antagonizing. Given the mood of the player they might not want to do as you’ve designed. This is like reading a book that skips along quickly versus one that reads like a math textbook. The thing is there are people who enjoy reading math textbooks. Pacing is a large and complicated mess for game design. Non-binary Mechanics: So you get a key and you use it on the door and the door opens, congrats, the mechanic requires no skill to perform and is just a device to deflect you from the point of progression. I love it when a single mechanic has multiple uses that lead to constant discovery and skill. This is more about seeing how everything interacts and seeing the multiple aspects of a particular item given to the player. A gun can be a tool not just a weapon. Stories in Games: Kind of a general thing. More like a collection of ways I’ve seen story done effectively. Most of what I have to add is about characterization based on mechanics and such. Trying to tightly weave the themes of a story into the player mechanics as best as possible. I have been plodding along with 2 articles recently. Transitions and Pacing. Pacing is a much longer one and might take 2 entries to finish. I also have school and work nagging me most of the week. Work on Owlboy goes well, I’ve nearly finished a gigantic area and some other transition/ thematic maps I’ had been meaning to get going on. The guys have a few of their own that are almost ready for me to make all purdy and nice. Lots of stuff is on the way to final draft! Oh and I’m sorry if anyone has tried to comment but can’t, the spam is overwhelming and I just can’t moderate it all, something else needs to be done. My weekend was devoted to an artist table at Anime Revolution in Vancouver and I haven’t had time to draft up a new entry. I want to talk about pacing next time. Hours are a little packed this week so I’ll get to something on Friday night. Here’s a lovely screenshot of the map editor that Henrik and Jo-Remi have poured their cyborg blood and dragon tears into making. They’re techromancer wizards! I get a number of emails from our fans asking questions about Owlboy’s development, and while I love answering each person when I can, some of these questions are a little too much for an email. Today I will answer a common question about level design and world building. Later I’ll expand this with entries about transitions and theming. Design is something you can approach from a variety of fields, each with their own strengths and weaknesses. My background is in English literature and it means that I look at everything through a story and thesis lens. Much of what I do involves critical thinking and close readings of material to tease out an interpretation. I don’t however stay within my narrow field. For example, when I took courses in geology I saw the process of building mountains and rivers as a creative story to fill in the data gaps. I find these stories about erosion and weathering to be highly fascinating. No one was there to see any of this and we only have educated guesses. A data sheet charting out these changes in size and water content won’t work for anyone but a geologist. A nature documentary about animals wouldn’t be nearly as interesting without Morgan Freeman’s velvety Morgan Freeman voice. Morgan Freeman~. Footage without Morgan Freeman would be snippets of data for biologists who understood the details not shown, or we as an audience would interpret that sequence in our own ways. Stories are important because they package information neatly for others. It’s an efficient way to send information, with context included, so the receiver can understand and interpret it in a meaningful way. However, I’ll never efficiently convey what I want until I hone my ability to tell a powerful short story. I can’t expect every player to sit and think about every detail I’ve provided; that’s if I can express them through the tile art I’m using. You only have so much time and money to produce all the art you’ll want to work with and you need to be as creative as possible with limitations. Make your unique tiles after you have found a rough unrealized potential idea in the scenery. Another problem is that stories can be based on obsolete ideas or ill assumptions. I learned to tell stories about the environment through the sciences, and since these stories can become obsoleted at any time my understanding becomes encoded in that time and place. For example, steampunk worlds are built on Victorian era science and philosophy. The same applies to any culture that happens to see the world differently than I do. It just happens, there’s little you can do to avoid this, but why would you? If the world you create sticks to a set of rules and is consistent enough to suspend disbelief then you’ve succeeded. Pick your rules and stick to them else your environments won’t feel as if they belong together in the same world. If you’ll indulge me for a little while I have a short story to tell of the Owl Temple (not shown in the old demos). I’ll have more of my design process at the end. I rarely write things out in this much detail. The following is what I try to tease out of the maps as I build and test and redesign with each play through. Most of the time I work from a loose outline of what I want to accomplish and why. Otus descends the twisting maze of rocky tunnels clutching Geddy firmly with each change in direction. Their path leads to a small flooded chamber, cylindrical in shape. They pass through an opening above the water line. The door was once perfectly crafted, but now it seemed as if time had become too impatient and too large for the business of doors. The great basement hall was open to the eye of the storm on two sides, the ceiling held up with large evenly positioned stone arches. All of them were engraved with faint runes, or was it just the imagination making sense of weathered scars in the awe of this place. Great owl statues stood defiant of erosion but the slow relentless dripping has claimed their numbers. The collapsed became a thousand scattered islands in the crystal clear lake under the temple. Moss clung to whatever had not been claimed yet. Molts howl and ready the fires deep in their bellies for the flying intruders. Otus dives and climbs quickly. Flashing amber coloured beasts pull themselves from their watertight burrows. Clouds of smoke and fire erupt from their mouths obfuscating Otus’s eyes and nose. They push through into to the stairwell at the end of the ruins. The walls in this place lay bare, the stairs resting along the floor looked as if they were never raised, but the door at the top remains waiting patiently as ever. There isn’t much light in the hallway above. This new place is heavy with shadows and vines. The odd pink vines have taken full advantage of this to strangle the temple rocks further. Cascading water droplets are flung from Otus’s wings as he flies on. Geddy shakes the moisture from his hands to reaffirm his weapon’s grip. The vines are getting thicker and harder to see through. Bulbs growing from some of the vines glow with a pale luminescence, a sickly cold imitation of the sun. At the end of the hall is the familiar rubble that had blocked the path earlier. They head through another hole in the ceiling. The vines here carpet every surface, working up around any protrusion from the floor. The two come across a large purple pod at the heart of this confusion of vines. This might be the heart of the strangling plant, or one of many. Withered vines create a stubborn mesh around a spot in the ceiling. Geddy suggests to Otus that he might loosen the mesh with water. Otus rummages through the pile of nearby vases. Most all of them are cracked and hold no water. Otus returns from the small pool and releases the vase’s contents. It worked, the dry vines swell and surge to life for a moment. The dislodged rocks bounce freely only to be caught once more between the vines on the floor. The dark passage is narrow, wet and rocky. Darkness expands the otherwise small space. The ground crunches and snaps under foot. Scattered everywhere is an unrecognizable mess. Bones. They’ve been stripped clean and don’t belong to any one person or creature. Otus and Geddy disengage their interest for a moment. An ominous carved stone gate hangs above ]them looming like a cold finger wisping the backs of their necks. The pitch hole inhales slowly without pause. Reluctantly they continue on without any other options. The air is quiet and afraid to move. Water streams quietly as it can down the back wall escaping through the cracks. A sickly green flame grows in the distance. It dances atop a short pike held by a tiny round creature. Gurgles of hunger and splashes of saliva erupt from a mouth already too full of jagged needle teeth. More of them awaken higher up. The gate seemingly takes advantage of the moment and closes tightly. High above a spec of light beacons the only way out alive. By now Geddy has already hidden himself. Otus begins his climb, too afraid to fly for his wings will betray him with both sound and smell. There are dozens of these snarling creatures and dozens more unseen. After much climbing the last platform is under his feet, but the exit is still a great distance higher. Otus will have to fly hard and fast or they will catch him with their teeth and each will have it’s own direction to go with that mouthful in the dark. At the very first flap of his cloak the pack is sent into bloodlust. The scrambling terrors gain on him. The snap Otus hears is the stone gate behind him. Otus fumbles for the Owl relic and brings Geddy to his side. Two great waterfalls crash down down behind them, the source of all the flooding below. Usually when I redesign an area I take into account where it is in immediate relation to others and the whole map. As I come up with something I look at what I need to change to transition the rooms smoothly. When I began redesigning this part of the map I needed to do something about the pieces already set in place. I had a gnome room and the waterfalls above. I needed a way to connect these pieces in a coherent way. There was nothing to capitalize on these pieces. I decided to tell a short story of a great hall that had been destroyed by water and time. It may not be much of a story really, but a flooded basement isn’t in itself visually striking or interesting. It makes sense to put a great lake below all this water, there is no way it would remain watertight after the uncounted years of existing. This all sounds really simple and basic when I explain it like this, and it is, I don’t mean to beat anyone over the head with it. The rooms in your game are a part of a larger structure be it a temple or lava mountain fortress or a spaceship or a cake or a wizard’s beard. Keep in mind the macro structures and decide on what kind of rooms should exist in such a place. Once you’ve figured out a loose of idea of that, begin linking these places. Write out the room ideas you have. Overall shape can help draw out themes. Also by joining a few areas at a time it can help create direction and small goals for the player. Hopefully if done right by giving an area purpose it becomes a landmark to remember and all of this working together will orientate the player in a confusing dungeon. Also, some rooms have elements that follow a natural direction. Water falls down, easy. But what about a structure with materials being piped in and out. Symbolic structuring requires you to think before you lay these rooms down, or choose from the most appropriate ideas in you sketchbooks. These things get complicated quickly so it’s best to leave the complexity to the sum of the whole structure. Be elegant and use the smaller groups of rooms to build your grand plan. A huge issue I call “tubes and boxes” is when you have all these ideas, but the means to joining them are passages of nothing in them and no purpose to the downtime. A breather is fine but the game’s pace becomes erratic, spikes of life and flat lines, evenly pulsing, on and off. So. Boring. Tubes are a sign of a poorly organized map. In stories you have something to develop in the downtime, or you leave it out with a good transition. RPGs are able to hide behind a wall of walking between key locations with a smattering of battles. There’s rarely any idle dialogue between characters for these long walks, but I’ll talk more about transitions in another article. There’s no formal rules for how to do all of this, you just have to be a practised designer and work this stuff out in your head or paper or excel sheets or with other people or whatever works best. I work these problems out through stories and graph paper, but many of the details will be uncommunicated so I need to stick to what actually comes across. Help your player out and give them a reason to remember where they are and what they should be doing. Don’t just resort to a map conveniently located in the dungeon. What I want to achieve in my level designs are not necessarily obvious to the player. I want to make subtle collections of logical structures that help immerse you. I want this place to tell you about the world you’re in and that it existed long before you came tromping in and will continue to later. Environments can be characters too and by developing your environment you create situations that can only happen in the world you’ve created. Puzzles and action sequences become memorable and unique because they’re bound to your world’s rules. I’ll probably post some silly things or a few pretentious examinations of videogames in time. For the most part my work on Owlboy has been to do with extra content and things that aren’t glamorous but need to be done in resources and testing. I also take the main game maps and clean up mistakes, tweak the atmosphere, try to compress information into the environment where possible. I enjoy environment design, I think you can tell a player far more that way, especially if it lets the player choose to slow down rather than force them to with text prompts. There’s plenty to talk about with game design and hopefully if I have time I’ll write something fun and educational.